Let's Build a City of Readers! How to Access Book Club Sets? Richmond public Library offers more than 150 book club sets, including current and classic fiction and nonfiction titles. Each set contains 10 copies. Customers who are registered book club members may borrow and reserve up to 2 book sets. Loan period for book club sets is 6 weeks . There are no renewals . Register your book club with the Richmond Public Library. Use the library's online catalogue to browse and reserve book club titles. One card can be used to reserve up to 2 sets at one time. The person who reserves the book club set must check it out on his or her own library card. Book Club sets can be borrowed for 6 weeks. There are no renewals. Book Club sets can be returned to any RPL branch during open hours. Not part of a book club, but want to be? We offer the following book clubs hosted by librarians at Brighouse Branch. Share and discuss books from a sustainable, healthy and local food perspective. Click here to register for book clubs or feel free to email bookclubs@yourlibrary.ca. Register your book club with RPL. Borrow our book club sets for free! To start your own book club just fill it out our online registration form. Sponsor a book club set and be the 1st to borrow it! Get information about new sets, library staff picks and library programs. If your book club would like to sponsor a book club set or if you have any questions or comments, please contact the book club administration team at bookclubs@yourlibrary.ca. 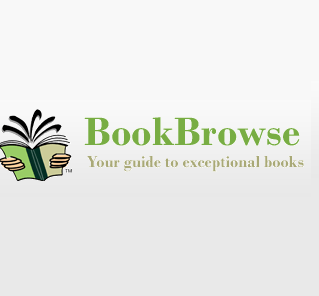 Online book review magazine: Guides you to the best new and current books, includes reviews, excerpts, reading lists, find a book tool, and info for book clubs. Find out what our 35000 book clubs are reading right now, which books they recommend and why. Find reading guides, author biographies, and more. Find information on latest book releases, forthcoming titles, author profiles and ideas for starting and maintaining existing club.